In a bowl add rajgira flour, mashed potatoes, chopped green chili, cumin seed, mix it and make it the soft dough.cover with a wet cloth and rest for some time. Take a little dough make ita ball androllit1/4 inch thickness, or the other method takes aplastic sheet place the dough in the center and cover with another greased plastic and spread it. 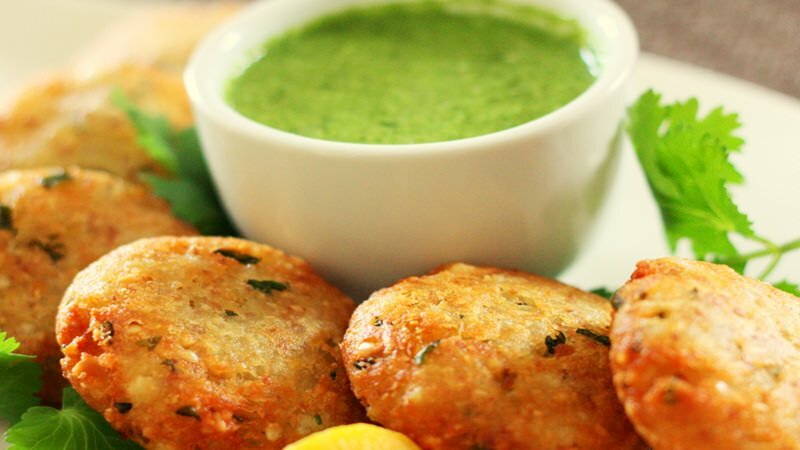 In a deep frying pan on medium-high, heat oil and fry the rajgira puris. Heat ghee in a pan add cumin seeds after put tomatoes paste, green chili Kashmiri red chili saute 1-2 minutes then put mashed potato, rock salt and mix well,add1cup water, boil it2-3 minutes. Sabji is ready, Garnish with coriander leaves. Take a mixer jar put mint &cilentro and little curd churn it well again after that put the whole curd,1/2 cup water churn it again. Pour into a bowl, add roasted cumin powder, and rock salt mixes it well. Keep refrigerated and serve chilled with puri & sabji.